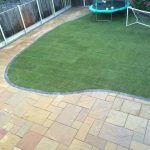 If you are thinking of ways of extending the living space you have outside your property, then having a patio laid will be the ideal solution. 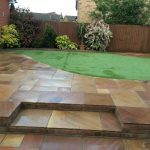 Unlike decking, patios are more user-friendly and will not have to be maintained or changed unless you decide to change the whole lay out of your garden. 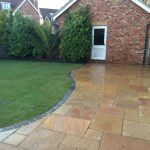 Your patio will not warp, dis-colour or need to be treated unlike decking. For a cost-effective solution you can opt for a concrete patio. Typically, concrete patios are so easy to maintain and are a brilliant option for larger areas. 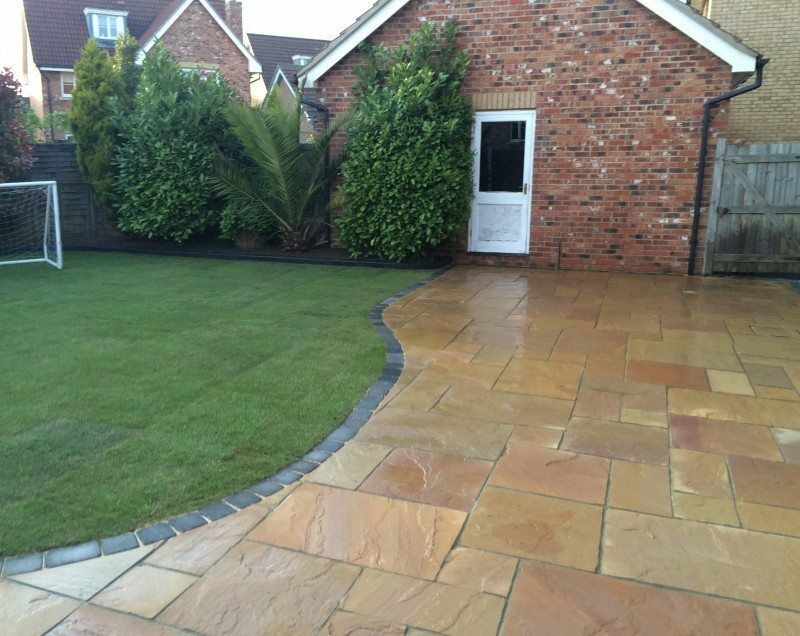 For those with a more extensive budget, stone paving slabs (paving flags) which are extracted directly from a quarry can be laid by our stone pavers to improve the look of your property. This will allow you to dine on your patio in the summer months and will give you somewhere to entertain your family and friends at the weekends. 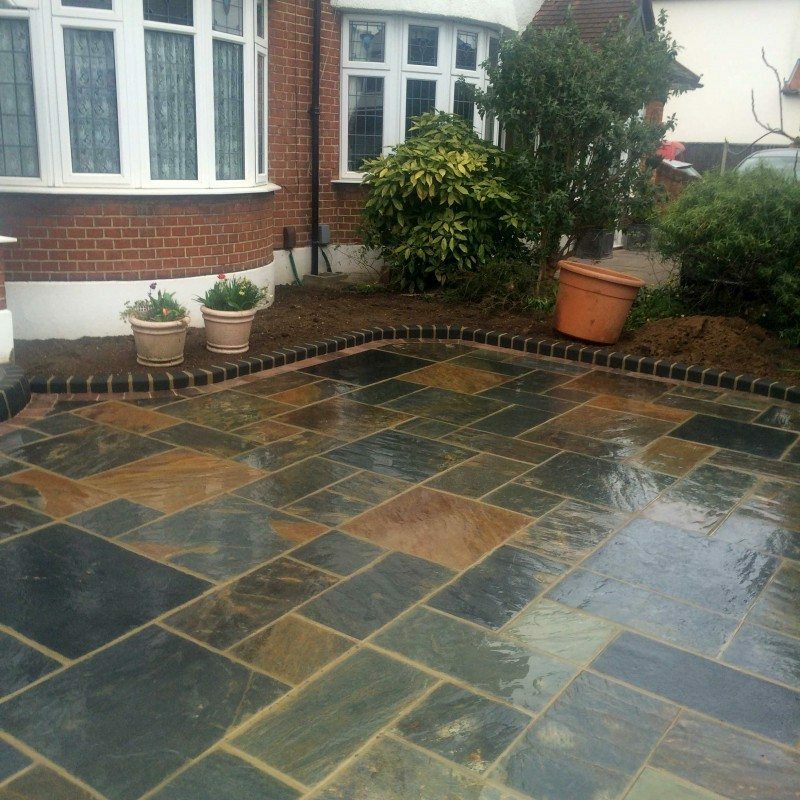 You can choose to have your patio laid so it is always in the sunshine or choose to have some of it in the shade. Whatever you want, we can accommodate your every need. For a more rustic appeal, have a look at a flagstone material. This maybe something you are interested in so please ask us for more information. 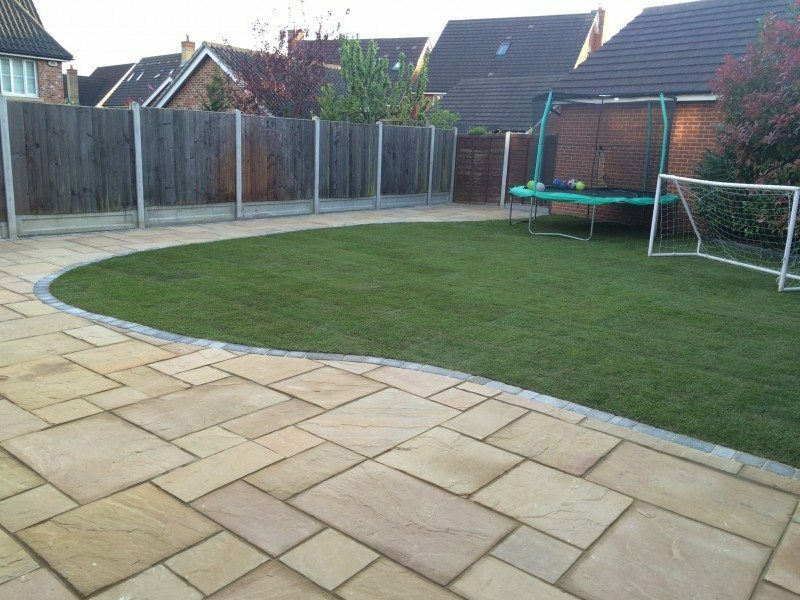 Natural sandstone is also another option for you to consider. 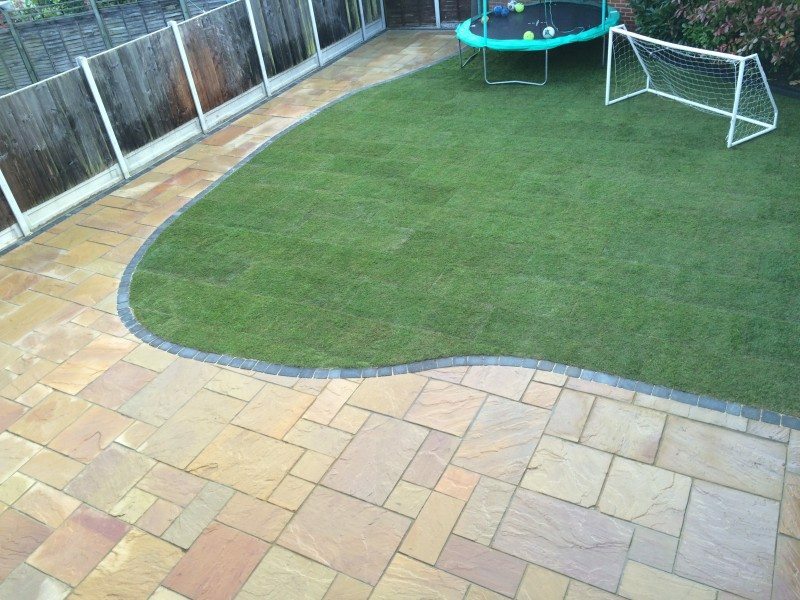 This is becoming popular with our customers in Essex and can be laid by our professional team within 2 weeks depending on the size of your garden. 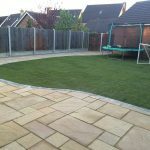 Feel free to study our previous patio projects in our photographic portfolio for extra inspiration and to challenge us with any designs or patterns you have in mind. Once we have laid your patio, we will use easy joint to fill in the gaps. 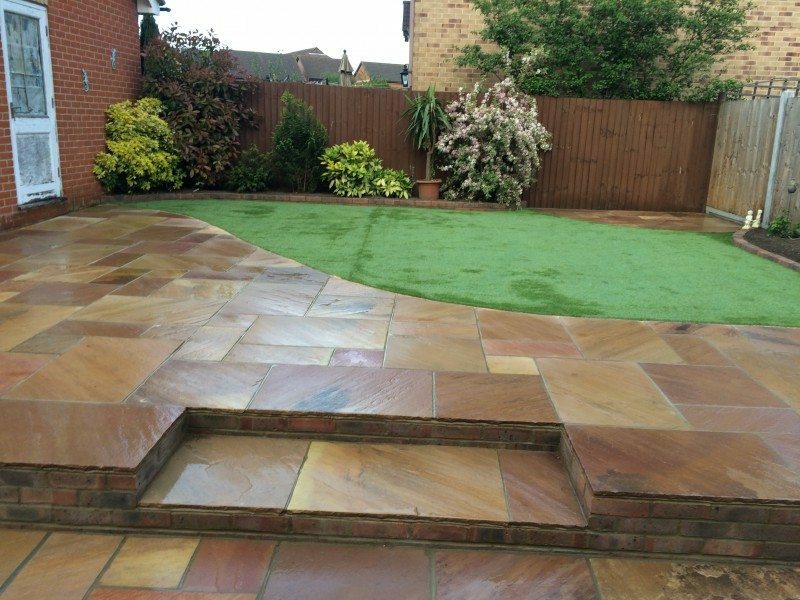 You can choose from 5 different colours which will suit any sandstone you go for. This can be applied not matter what the weather is like and will bond your slabs together nicely leaving no gaps. If you are interested in having a new patio, then Advanced are the company to call.